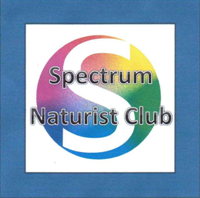 Spectrum Naturist Club is a welcoming club which exists for members and visitors to enjoy naturism in a safe and enjoyable environment. To enable such enjoyment the Club expects members and visitors to behave with respect to themselves, each other, Centre staff and the Club environment and sets out its expectations in the following conditions of attendance and membership. The Club welcomes all genuine naturists and those visitors who are genuinely interested in trying a naturist swim session. However, the Club reserves the right to refuse admission and is under no obligation to give reasons. Visitors may attend as guests of members, or by prior arrangement with the Committee. If visitors complete 4 visits and wish to continue visiting the Club then they must apply for membership. Anyone aged 18 or over may apply for membership of the Club. Applicants will be required to complete 4 satisfactory visits before their application for membership can be considered by the Committee. Applicants who provide false information or who fail to disclose material information must expect to be refused membership or have their membership withdrawn. The Club recognises the diversity that exists now in the makeup of family groups and partnerships. We no longer insist that a married applicant wishing to attend alone obtains the written consent of his or her spouse. However, the Club will not collude in a deception of a partner, married or not. Members may invite guests to the Club, but if the guests complete 4 visits and wish to continue visiting the Club then they must apply for membership. Anyone whose behaviour is not appropriate to a family naturist environment will be asked to leave. Any member bringing Spectrum Naturist Club, and/ or naturism generally, into disrepute will have their membership of the Club terminated. This includes inappropriate use of social media Members and visitors are advised that, in the event of their behaviour indicating that they are not suitable to participate in naturist activities, their names may be provided to British Naturism for consideration of inclusion in an Enquiry List which is circulated to other naturist clubs. The Club will respect your privacy and will not divulge information about your membership to non- naturist groups or individuals unless required to do so by law. Please respect the privacy of other members by not divulging details of names, addresses, telephone numbers, other personal information or naturist events you may hear about that identifies a member to a non-member. There is nothing to be ashamed of in naturism but some members prefer to keep this aspect of their lives to themselves. The Club telephone number may be given for reference or enquiry. If in doubt, please consult a member of the Club committee. Members and visitors must obey the instructions of the centre staff at all times. 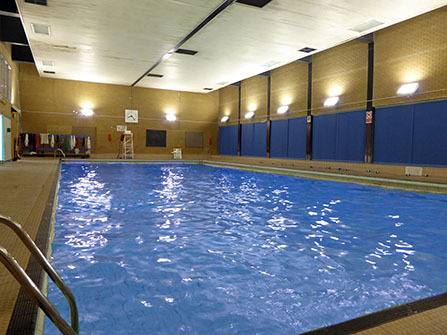 Members and visitors must observe the swimming pool rules. No one must enter the water if a lifeguard is not present poolside. Adults should know how to use the equipment safely. Please remember always to sit on a towel in the sauna and social room. No Smoking or Vaping is allowed anywhere in the premises. Anyone believed to have consumed alcohol prior to visiting the club will be asked to leave. To avoid any possible misunderstanding, mobile phones (as most incorporate cameras) are to be kept out of sight in areas where people are naked. Please bring only plastic or paper cups. Please leave clothes and sports bags in the changing room. Members and visitors are bound by the Club’s Constitution. The Club, its officers and members cannot take responsibility for any incidents arising from, or due to, attendance at our events.